JACKSON, Miss. — From the outside, Forest Hill High School is a picture of strength and prosperity. A far cry from the one-room schoolhouse that sat at its current location in the 1850s, the contemporary academic and athletic facility sits on more than 47 acres of land, and seems to have all the physical attributes parents and teenagers could want. Inside, it’s a different story. Forest Hill High is failing students. The public school built in 1989 received an “F” rating on its most recent state evaluation, as did almost a third of the schools in the Jackson school district. No one understands this struggle better than Sharolyn Miller,chief financial officer for Jackson Public Schools. All summer, Miller struggled to fix a failing HVAC system the high school couldn’t afford — just as JPS found $600,000 for two new charter schools in the city. “The downside is that half a million dollars that I could have put into HVAC systems in Forest Hill High School is gone,” Miller told me when I visited Jackson to learn more about why some dissatisfied public school parents and state legislators are pushing charter alternatives. Since that time, the district has run into a slew of new troubles, which could result in the removal of Jackson School Superintendent Cedrick Gray after the school board meets on Friday. Charter schools competing for funding from a skimpy budget may be the least of his worries. JPS has problems: 21 failing schools, a 67.7 percent graduation rate and an average composite ACT score of 15.6. On Friday, JPS will hold a school board meeting to evaluate Gray — who has not publicly responded to the calls for his resignation that followed the release of the district’s grades — and discuss the administration’s improvement plan. Undoubtedly, there will calls for more charter schools in Mississippi, viewed by many as an alternative to a system that will always fail families. Gray and JPS are under fire at a time when some are already pushing for an expansion of charter schools — public schools that are privately operated. Miller believes that it’s a mistake. There are now three charters in the state (all in Jackson), and Miller worries that more charters will continue draining much-needed funding from the already strained JPS budget, eventually leading to school closures. Because the district is funded on a per-pupil basis, Miller is right to be concerned. And based on years of experience watching neighboring New Orleans’ transformation to a nearly all-charter system, I can tell you that charter schools should also worry about how the state funds JPS. Cutting your nose to spite your face is a common practice in education reform. Charters are a seemingly perverse compromise; too often education reformers turn a blind eye to inequities that stifle districts, supposedly to give parents alternatives. That’s why I have some advice for the Mississippi Charter School Association: Don’t allow a financial storm to be your Hurricane Katrina, the disaster that led to dismantling the public school system in New Orleans. Don’t offer the trite language of “choice” as a solution. Whether or not they keep Gray, Jackson Public Schools must be given the chance — and the resources — to improve. Improvement will not just help standard public schools: Charter schools need a functioning, adequately funded district for their own long-term survival. A struggling JPS needs support. Districts, schools and unions don’t have to be broken up in order for charters to deliver what early rhetoric promoted: innovation. “If the state put the same amount of effort and money into the public schools as they do in forming and supporting charter schools and all these alternatives, then we would function,” Miller told me. I also can’t help wondering if expectations for Gray were unrealistic. As the JPS board evaluates him, Gray’s ability to do more with less is the most reasonable yardstick the district can use. How far can any school rise when its floor funding continuously falls? $9.6 million — Shortfall this year in the yearly allocation for Jackson Public Schools. Jackson schools are grappling with the loss of about 1,000 students to other districts, private schools, charters and home schooling, along with an increase in the number of students who aged out, dropped out or graduated compared to those entering the system. Parents may be leaving because of the district’s performance, but JPS isn’t really given a chance to succeed. Last academic year, the district had to accommodate a mid-year cut of $1.3 million. Related: This futuristic afterschool program really works, so why is funding being slashed? This school year, the district’s yearly allocation is approximately $9.6 million short. The chronic practice of underfunding schools, it seems, will continue. Last year, former Gov. Ronnie Musgrove sued on behalf 21 school districts, including JPS, to fully fund the budget formula every year; the judge ruled against him. The (Mississippi Adequate Education Program (MAEP) is short by $172 million statewide for 2016-17. To their credit, JPS has shown an ability to do more with less. Last year, the graduation rate in JPS schools increased almost 3.5 percent. Discipline violations for freshmen have decreased by 2.5 percent. Attendance has gone up by 2.5 percent among ninth graders. In the last two years, the number of third graders who are proficient in reading has increased by 8 percent, Gray announced in a televised press conference last April. Offering charters as an escape hatch isn’t innovative; finding ways to build capacity is. Learning new ways to do more with less — while commendable — isn’t very innovative either. Black districts have been stretching resources since Reconstruction — ask JPS. All children lose when schools don’t have the baseline funding resources they need to educate them. Mississippi already ranks at or near the bottom on education spending as measured by the $8,130 it spends per-pupil, according to the most recent available census data. The state’s legislature hasn’t fully funded the formula (MAEP) that establishes the amount deemed necessary to provide an adequate education since 2008. Charter schools receive roughly the same funding from the state as district schools, based on the number of students enrolled. Yet charter advocates also insidiously assert they use their resources more wisely, with better results. This tendency gives conservative legislators, adverse to big-government, further ammunition to deny adequate funding to traditional districts like JPS. In 2015, Reimagine Prep opened its doors to one class of 5th graders. Midtown Public started that same year, offering classes for 5th and 6th grades. The two charters earned a “D” and “F” and the district lost approximately 200 students — as well as the corresponding funding in per-pupil expenditure — to the charter operators. In August, Jackson’s third charter, Smilow Prep, opened with 125 fifth graders: There are now about 289 students in Jackson’s three charters. Three charters may not seem like a lot, but keep in mind the charter wave that swept over New Orleans in the wake of Hurricane Katrina began with just five schools. 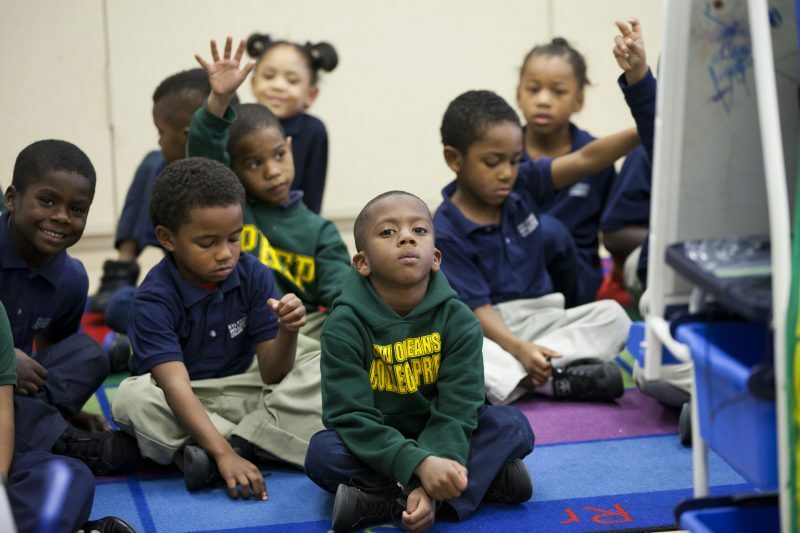 Today, some 90 percent of New Orleans students attend charter schools. $1.85 million — Funds lost to Jackson Public Schools due to diversion to charters, according to the Southern Poverty Law Center. Charter schools should not present such problems to a well-managed school district, according to Greg Richmond, president and CEO of the National Association of Charter School Authorizers, an Atlanta based group that promotes quality operations and oversight of charter schools. “Some people will say that this is zero sum game; that if some children are getting a better education that must mean that other children are getting a worse education. I don’t believe that,” he said. Richmond acknowledged that “there are some school districts that are in such bad shape financially that the opening of a new charter school might cause the whole district to collapse.” He urged officials to look at the impact on a district’s finances when they consider a proposal for a new charter school. In the meantime, Miller has few choices at JPS. 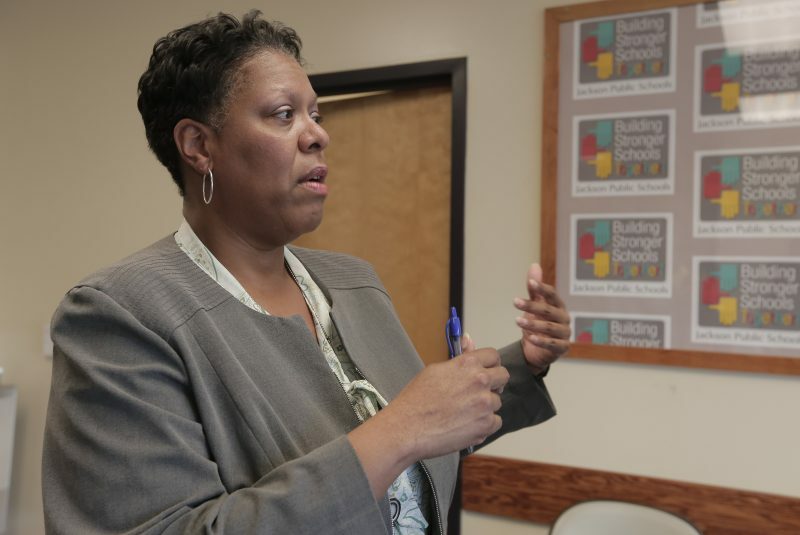 She’s served four superintendents since being hired in 2004, with one common thread between leadership changes: Budget cuts. “We patch until we can get other funds,” Miller said.